Owning a car is a crucial part of the American lifestyle, so much that 95 percent of the homeowners in the country have at least one vehicle. Car ownership is (arguably) “the second most significant financial asset” for ordinary Americans, and nearly an equivalent of their real estate property. But what happens when a car is stolen or damaged beyond recognition after a traffic accident? In the United States, a motor vehicle gets stolen every 45 seconds. Likewise, the incidence of nationwide car crashes has reached a staggering 5,419,000 in 2010 alone – and it gets higher nearly every year since then. Thanks to car insurance, these harrowing statistics have neither endangered nor terminated car ownership as an American way of life. In the United States, the majority of the motorist consumers comprehend insurance in terms of monthly premium. However, it is important to take note that each state has a different understanding. People buy car insurance with the basic understanding that it provides a financial safety net when things go wrong. However, not everyone really has a clear idea about the extent of help they can receive from their auto insurance policies. Hence, it pays for one to know that there are three basic components. Property coverage: a part of the policy that pays for the damage or theft of the insurance holder’s own car. Liability coverage: a part of the policy that pays for the legal responsibility to others for bodily injury or property damage. Medical coverage: a part of the policy that pays for the insurance holder’s hospital expenses, rehabilitation, and/or the cost of the funeral. In most cases, the car insurance policy is effective within 6 months or a full year. Apart from the periodic premium payment, it is important for customers to keep track of their schedule for policy renewal. Fortunately, most companies would notify their patrons via email. Glass coverage: it covers the cost of replacing chipped or shattered car windows (since most insurance companies don’t include glass replacement in the basic property coverage). Roadside assistance coverage: it covers towing or on-site repairs if the car breaks down in the middle of the road. Uninsured motorist coverage: it pays for the property damage and medical coverage in case a holder is involved in a traffic accident with an uninsured or underinsured person. Gap coverage: it pays for the value bridging the extensive disparity between a very expensive vehicle (e.g. $200,000-worth SUV) and the median coverage for property damages (around $50,000 per accident). Another way to potentially lower the annual premiums is to install a telematics device. The objective of this machine is to instantly collect data (e.g. acceleration, velocity, etc) while driving – an automobile equivalent of an aircraft’s black box. The hard data provided by the telematics device is crucial to the efforts of improving one’s driving skill in line with the standards of traffic safety. In theory, the cost to indemnify a car is relative to its likelihood for road accidents. Similar to the car insurance cost per month (premium), the use of telematics device also entails an annual or monthly subscription on top of the unit’s base rate. While the telematics device helps create baseline standards for safe driving, everything else about safe driving rests on the person behind the wheel. Since insurance providers are more likely to charge lower premiums for responsible and skillful drivers, consumers make a wise choice of fitting the very definition. In the United States, driving schools charge an average of $1,000 to $2,000 for 20 lessons (the platinum package). 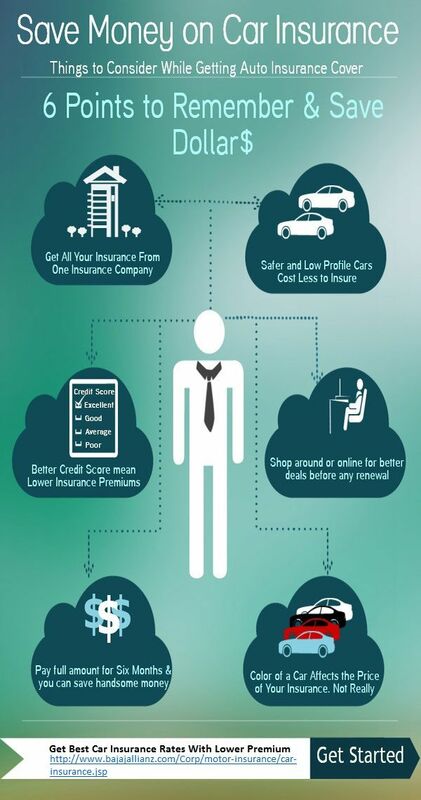 Buying car insurance is pretty similar to purchasing any type of goods or service. The key to making the wisest decision is to get the most out of the value without having to pay more. Several online sources provide a clearer perspective on how consumers can pull it off. But regardless of the choice of insurance provider, consumers are advised to increase deductibles from the baseline fee. In theory, a higher deductible is equal to lower periodic premium. Vis-à-vis, the low deductible is equal to a higher premium. Hence, it is practically more taxing to pay relatively huge rates for monthly or annual premium than to disburse huge out-of-pocket fees only when the need arises. Young drivers are notoriously more dangerous behind the wheel than their older adult peers. After all, it is an age characterized by restlessness, irresponsibility and intense emotions; as opposed to the values of discipline and focus that defines good law-abiding motorists. Drivers aged 16 to 25 reaps the highest annual charges, somewhere between $3,000 and $8,300. Studies found that men are more likely to fit the criminal profile of a drunk driver. Since women are less likely to drive under influence (DUI), insurance companies are less likely to charge them higher premiums compared to the more accident-prone male drivers. Higher premiums are charged for motorists who live in areas that are rife with criminality. People living in neighborhoods wherein cars are more likely to be stolen or vandalized need extensive property coverage than those living in the quiet suburbs. As mentioned earlier, insurance holders may require additional gap coverage to supplement the financial requirement for underwriting a very expensive vehicle. The choice of automobile plays a crucial factor in determining premium. Insurance providers are wary of customers who have a bad credit (e.g. huge debts + late payments), and it is something that cannot evade their scrutiny. Getting lower insurance rate also means managing good credit scores.